The client, Mastercard, is a leading international financial institution which connects businesses, professionals and governments across the world, making payment safe and simple. Innovation is at the core of its strategy. Mastercard transformed the travel industry by bringing secure payment automation to the core of the customer experience. To support the market entry strategy, Mastercard enlisted Drewry to quantify the opportunity to help shape the value proposition for each customer segment. Subsequent analysis of the container shipping ecosystems, supported by metrics and flowcharts, provided tools to evaluate and forecast the industry economics. The study looked at bankruptcies both from freight forwarder and carrier viewpoints. It described the current and emerging payment methods and their costs as well as analysing key industry challenges: establishing trust between parties, failing to deliver, the continuous search for efficiency improvements and the rise of e-marketplaces and automation. Presented the order-to-cash process with a focus on procurement, invoicing and payment methods and highlighted the costly practice of Cash Against Documents; defined the range of opportunities and pre-requisites. Identified the potential for disruption in terms of payment and service guarantee. Completed competitive analysis in support of Mastercard partner strategy, contributing to execution of Mastercard partner agreement. Drewry’s market validation supported the decision of Mastercard to invest in solutions for the freight industry that enable industry players to benefit from a more automated and efficient procure-to-pay process that delivers end-to-end transparency and reconciliation. 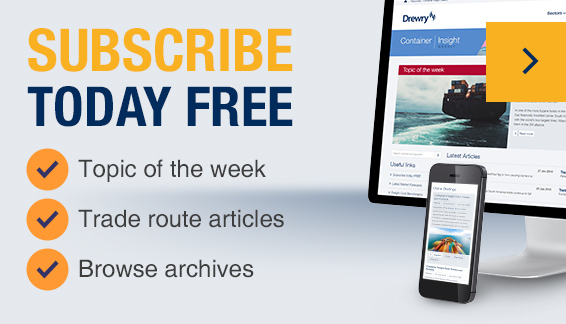 "Drewry’s industry expertise was invaluable in identifying and confirming process inefficiencies that exist within the global freight industry. Their ability to quickly understand our requirements and deploy the relevant skill set was key to the validation of our strategy and value proposition."